The Thumpas® Curved Focus Pads is our best selling focus pad and Personal trainers love using these pads. Proven in 1000’s of Clubs & PT Studios. They’re super durable and last for years of intense training. The hand fit is an easy in-out but once it’s in – it locks in so it doesn’t slip off. This is very important when you are doing mass boxing classes and you are changing pads over a lot – hence it’s used for commercial grade and chosen by Personal Trainers on a large scale. Proven in 1000’s of Clubs & PT Studios. 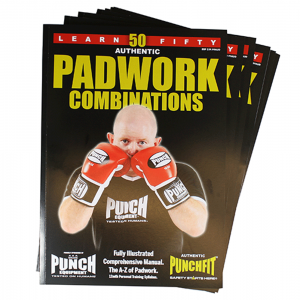 This is a very durable focus pad and has been in the Punch® Equipment range for over 20 years. We recommend this product to anyone serious and in business to make money out of the boxing industry. 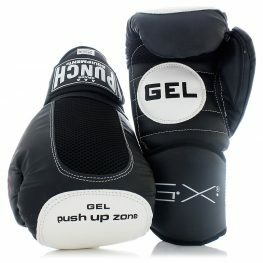 If you’re looking for the best boxing equipment online, shop with Punch Equipment – Australia’s premier boxing supplier. These are a fantastic all round design, light weight, comfortable, reliable and affordable. One size fits all. Fantastic focus pad if you’re a trainer at a boxing club and want something that’s both affordable and reliable. Pros: They hold up against other competitors a lot better and provide better protection for heavy use. For me personally i love to utilise the thumpas for speed combos, reaction drills and light boxing pad rounds. Thy are light with excellent support and highly recommended for fitness classes and the above pad holding. Really enjoying the Thumpa focus pads in boxing class. Only used them a few times so hopefully the will mould a little more to my hands. Great product. These are my favoirite focus pads, highly recommend and super comfortable. Gold star!!! Dear punch equipment, it is with great disappointment that I say good bye to my favourite focus pads – I’d like to highlight how disappointed I am in the quality- when I purchased them 22 years ago I thought they’d be the only set I ever needed!! I was wrong… sadly today they are no longer usable. Now #punchboxingequipment before you say ‘ but did u treat them right?’ The answer is ‘yes, I used them every day jurying my amateur boxing career and when I opened my own boxing gym they definitely received good use and care’. I’ve estimated that I’ve gotten a mere 57,200 hours use out of them! I ask you #punch boxing do you call that value for money???? Comfortable fit, easy to grasp, definitely a good fit for beginners and most importantly good price! Cant wait rto receive mine!!! They get used 5 days per week. After 2 years, they still look brand new. working as a PT/Pad Holder I need too be able to put on and take off pads all day and these feel tight when on yet still easy to rip off. Thumpas are great for the the PT who is running Classes. Great Value for money, great fit, great protection and long lasting. Always top quality. Recommend these to anyone!! My partner and I use these pads 3-4 times a week, couldn’t be happier with the padding and grip. We both train muay thai so we need to rely on great support and this pad does that. I have used Thumpas for a variety of group fitness classes & personals and they have stood the test of time. I haven’t needed to buy any other pads since purchasing them 3 years ago! Light weight, great padding and easy to take off and put on. I love my Punch® Thumpas®. Great to hold, comfortable fitting, light and durable and like me – a pair of these are going to be around a long time.